A month before Disrupt, Yu Zhou sent us an email titled, “We want to help solve the Flint water problem.” WaterO’s CEO wasn’t claiming to have the catchall solution to the lead problem plaguing the Michigan city, but his company was in a unique position to lend a hand. 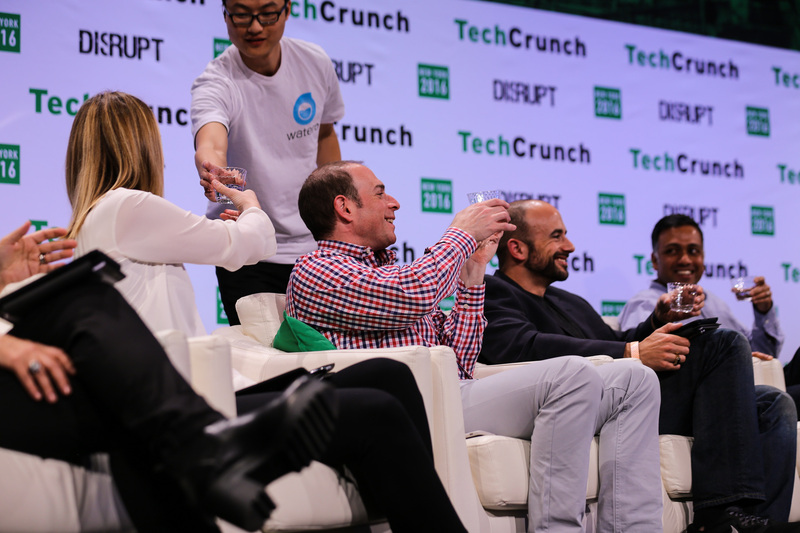 Since then, the Los Angeles-based startup announced it has teamed up with the charity WATERisLIFE to send 5,000 of the company’s water filtration systems to help give Flint residents access to clean drinking water. 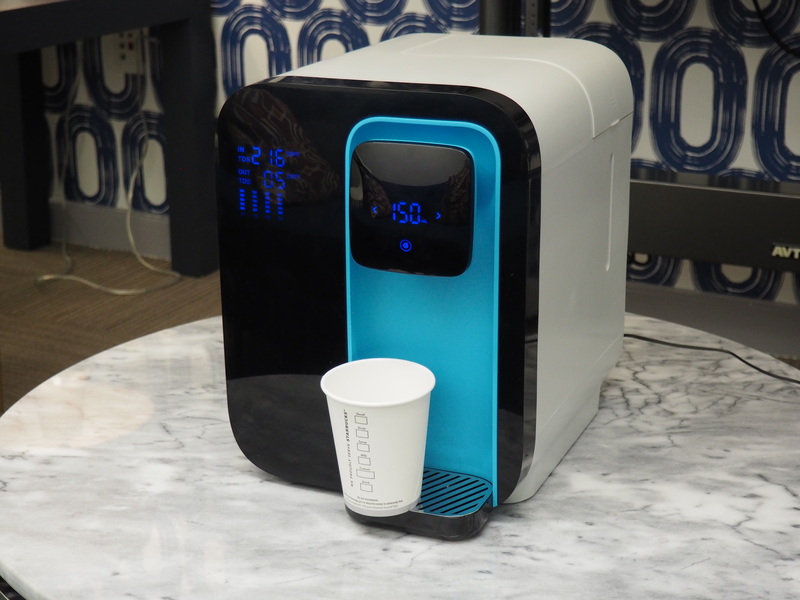 The WaterO is a tabletop device roughly the size of a bread maker that utilizes reverse osmosis, a higher and more exacting technology than the carbon filters found on your everyday, run-of-the-mill pitchers from the likes of Brita or PUR. The system uses pressure to push water through a membrane, leaving particles larger than H2O behind in the process. It’s effective in removing heavy metals like lead and mercury, along with chlorine and bacteria. It’s a process that has existed for some time, but WaterO has applied it to a self-contained system with a small footprint, while managing to increase its efficiency. Before the water reaches the fourth filter, it enters a recycling mode, helping reduce the water waste. In the company’s process, 80 percent of the water is made drinkable. The rest stays behind in a pitcher that can be used to, say, water the plants. The company took to Indiegogo to help fund the project and gauge consumer interest, ultimately selling between 300 to 400 units in the process. Those are set to start shipping next month, at which point the WaterO system will also open up for online retail at $300 apiece. The user fills up a pitcher from the tap and places it in the machine. The system goes to work running it through four separate filters, a process that takes around 10 or so minutes. Once finished, a screen displays the starting TDS (Total Dissolved Solids), a measurement of non-H2O particles dissolved in the water, followed by the post-filtration numbers. The New York City tap water we used registered around 180 — drinkable, but not great. By the time the machine was done with it, we were at a far more acceptable 5. The company also brought a jug of lead-contaminated water from Flint (along with another filled full of salt water) to today’s Disrupt presentation. The machine was able to reduce the contaminated water from 147 TDS down to 5, which our guinea pigs judges then proceeded to taste. And like me, they agreed the water tasted pretty good. The TDS, it should be pointed out, is simply the number of non-water particles. It could be dust or it could be something far more harmful like lead. Zhou says the company is hoping to develop a more precise measurement. The system is, naturally, connected to an app that also displays this information, along with the health of the four filters in the rear and keeps track of the amount of water the user has consumed in a day. More compelling to Zhou however, is a feature that measures water quality across different machines in the same area, monitoring overall quality for neighborhoods.